With a drink in hand, there’s nothing better than watching the sun set outside on the patio or deck. It’s an experience often attributed only to the warmer months of the year. But you don’t have to stop enjoying your outdoor space once the leaves start to change, easily transition from summer to fall in these five steps. Swap out your Adirondack chairs for something a little more inviting like a sectional sofa. Cushions and accent pillows will provide a cozier setting in which to watch the sun set over an autumn day. Add storage to your outdoor space for blankets and slippers that can double as seating for extra guests during the holidays. Don’t have a built-in fireplace? No problem. 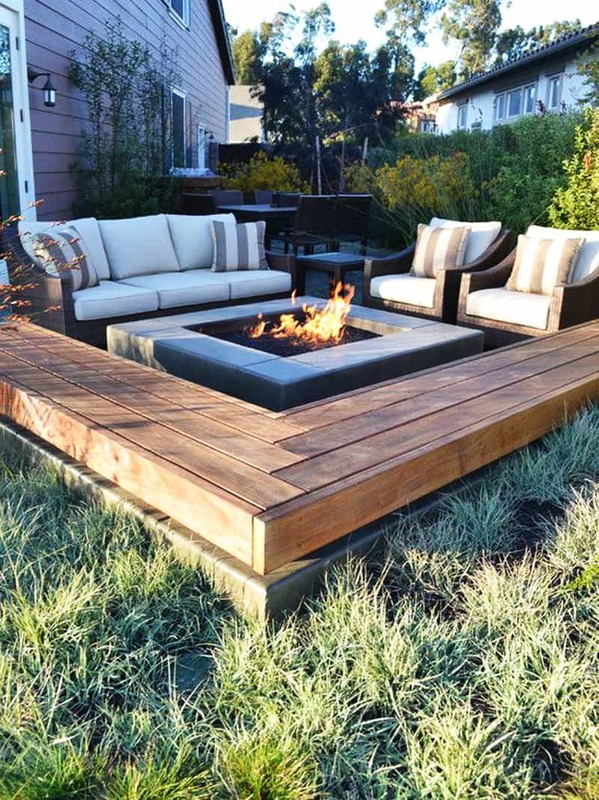 A fire pit is easy to set up with options for natural gas as well as the traditional, open wood fire. An outdoor rug will add depth while providing a soft barrier between you and the ground. Update your outdoor bar with ingredients for fall drinks and cocktails like this apple-brandy hot toddy.